So we got together a bunch of guys who shot and administered the old SOF matches. JP ENTERPRISES and COMPETITION DYNAMICS present RESURGENCE, a Tactical 3-Gun Match that captures the full spirit and flavor of the legendary SOF 3-Gun matches. It's all authentic, from the original rule set to the semi-surprise stages in open terrain. This match is being brought to 3-Gunners, law enforcement, and military shooters by SOF 3-Gun veterans. It's time to rekindle the spark: the ancestor to all modern 3-Gun events. RESURGENCE brings that history to life. Camouflage is encouraged and you will get dirty! RATINGS What do these ratings mean? “Resurgence” - noun, an increase or revival after a period of little activity, popularity, or occurrence. You may have heard the “old time 3-gunners” speak of the SOF 3-Gun Tactical Match. These stories stem from the glory days of 3-Gun, from which all modern day 3-gun descended from and is still measured against. This match is a test of shooting, tactical awareness, movement and weapon manipulation. All the stages are “semi-surprise”, meaning there will be no “walk throughs” and stage procedures and briefing will be done beforehand. If you are a relatively new 3-Gun shooter, this match is a must-shoot. It will be straight-forward and transparent. “Gaming” is almost impossible. You do not need "ultra expensive" firearms to shoot this match. An M-14, Mossberg pump, and Browning Hi-Power are perfect. Too many of the current generation of 3-Gunners have no idea where their sport came from. We are "putting the band back together" to bring you RESURGENCE. It will be epic. The match staff are experienced “SOF Vets” and vetted match administrators that have been running matches since the year 2000 including the last “SOF” in Raton, NM (2001). For LE and Military personnel, there will be a certified training seminar put on by our LE Liaison on todays LE issues and tactics. There will be expert pins and medals for the “Top 50”, and prizes will be handed to the shooters through the “Top 50” until prizes are gone. LE and Military will have separate prizes. There will be a special prize for the "returning SOF Vet”. A sponsor will be offering a cash purse to the winner. Take a look at the rules. They are identical to the original rules, with almost no changes. The reasoning for this is for you to read through and get familiar with the old rule set. We like it, and the rule set is 100%. We can guarantee you will get dirty. Holsters and magazine retention systems will be tested. This is not to discourage you, but to expose you on what we had to experience per “SOF” stage rules. The mandatory shooter meeting will be at specified time per the match schedule. Plan to be there for 1.5-2 hours. Feel free to bring a fold up chair and a note pad. At the shooter meeting stage procedures will be gone over, and this will be a time for Q&A’s. There will be no stage boxes or buckets to ground firearms. These rulings and stage procedures will be per stage, and the information will be given during the shooter meeting. Lodging is available in Logan. Thanks to all competitors, JP Enterprises, E Miller, K Miller, S Trowbridge, C Fossen, S Hawkins, B Hawkins, A Samuel, W Garfield, C van der Walt, J Macgregor, G Johnson, D Johnson. 2016 JP Enterprises Resurgence 3-Gun Tactical Match Details! This is the official competitor final match letter for the “Resurgence” on September 22-25 2016 at the JP Enterprises Blue Steel Ranch in Logan, New Mexico. 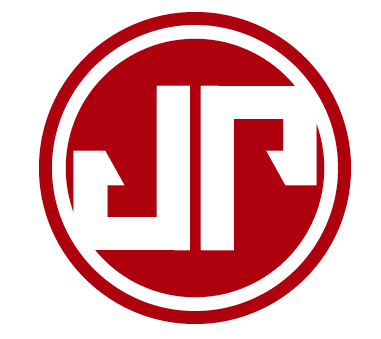 Competition Dynamics in cooperation with JP Enterprises is bringing you the Resurgence, a “throw back” match from the old “SOF “days. The full flavor of the stages will be present as they were in the past, no walk troughs, and no gaming. Straight up tactical style shooting, with an emphasis on marksmaship, the use of your weapons, and weapon manipulations. All the stage descriptions will be read Wednesday September 21st at 1700. This is where questions will be answered pertaining to the stage procedure. Please bring something comfortable to sit on; the meeting could last up to 1.5-2 hours. During this forum please ask questions, for there will be no time to do this on the line. Day(s) of shooting, the shooter will be called up example; shooter 1, squad 1, and so on and so forth. Please note the shooters will be held inside or behind a specified holding area. This match promises to be action packed, and very dynamic. You will not be let down. The property on the BSR is made of rolling hills in the high desert New Mexico. Temps will range from mid 80’s to low 40’s at night. There are “port-a-potties” onsite, and there will be a few locations with water available. You will be doing some walking/hiking to and from the stages. Also, right now we are planning on using the range to its full capabilities. For us to do this and guarantee the best shooting ever, parts of the range will be closed. We are doing this to provide the best possible experience for you as the shooter. I would include all and everything you will need for the day, you will know where and what you are shooting the night before, so please pack accordingly. Your kit might include, ammo, guns, magazines, snacks, sunscreen, water and anything else you man need for this adventure. Your vehicle may be a few thousand yards away, so try not to forget anything. This is if you want to sight in, and if your team make the team shoot Sunday. There is decent lodging in Logan, New Mexico. There are 4 locations there and 2 restuaraunts (Subway and the Annex) Also, there is Ute lake for those bringing RV’s or campers. Tucumcarri, New Mexico is 20 minutes from the range, where there is everything one needs from a modern south western city on route 66. Please send me an email with the 4 persons you want to shoot with, and have someone within your squad be the captain. Please have him/person (TEAM CAPTAIN ONLY) send us the complete squading list of persons on the squad. For this match there will be 2, 4 person teams, or people on a squad, totaling a complete 8 person squad. The team shoot is $25 per person, which we will collect on the day of sign in. There will be some side shoots going on for benefits, and there will be monies and prizes to be won. This can be done when there is a break between stages will go on during all “shoot” days. We look forward to seeing everyone on the range, and please let me know if you have any questions. We have two rules updates for RESURGENCE in order that fewer people would need major equipment changes to shoot this match. 2. SHOTGUNS have no limit on barrel length. Tube magazine length is limited to no longer than 23.5″ past the front edge of the receiver. We are pleased to announce that La Sportiva is the OFFICIAL FOOTWEAR Sponsor of the 2016 COMPETITION DYNAMICS season! La Sportiva, with US operations based in Boulder, Colorado, is a global manufacturer of premier outdoor gear and is best known for their world-class mountaineering, hiking, and trail-running footwear. Their Nepal EVO boot is probably the most-recognized modern mountaineering boot in the world and you’d be hard pressed to find a Crossfit Gym around the country in which there aren’t a few people wearing their Crosslites. Speaking personally, I have been spending my own money on La Sportiva mountaineering boots and trail-running shoes since the late 2000’s. They are simply my “go-to” footwear for active endeavors. La Sportiva will be sponsoring our prize tables throughout the 2016 season as well as offering a very special discount package for 2016 COMPETITION DYNAMICS Range Officers. You’ve heard the rumors about the old SOF matches – the pinnacle of 3-Gun before it was cool, where camo was still welcome, and it didn’t feel like you were at a NASCAR race. Where the FAL was competitive next to the AUG and the Galil, and stone cold shooting skill, not magazine capacity or shotshell loading speed races ruled the day. RESURGENCE will be a straight-up hard shooting match where the man with the best marksmanship, weapons handling, and ability to think on his feet will rule the day. Here you will be able to submit your email address on our iPad to obtain a registration code, which you can complete immediately on your phone, tablet, and/or laptop. Your registration is not complete until you’ve filled out all your info and submitted it. For questions at the SHOT Show, please find Jimmy Holdsworth, Zak Smith, or Eric Miller. The TBAC (8407) and JP (6113) booths are good places to find us. Open online registration will start on the Friday of SHOT Show (Jan 22nd) at 0800 MST and will be roughly first come first served, subject to availability of match slots and uncontrollable email delivery delays. http://resurgence3gun.com/ then follow the REGISTER link. 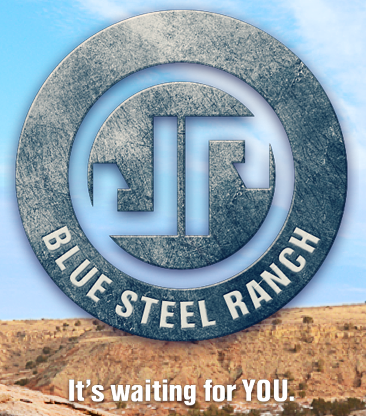 After consulting with JP Enterprises, who is hosting the match at the Blue Steel Ranch, we have moved the RESURGENCE dates to SEPT 22-25 in order to avoid conflict with the NRA World Championship. As a reminder, registration will open Monday January 25, but early registration will be available at the SHOT Show (the week prior). We are pleased to be able to announce the 2016 RESURGENCE TACTICAL 3-GUN, SEPT 16-17-18 – LOGAN NM. Shooters must be present for all days of the shooting portion of the match and shoot during their scheduled time-slots. There are no "shoot throughs" at this match. The RESURGENCE 3-Gun match is intended as a combat match to test useful weapons skills. 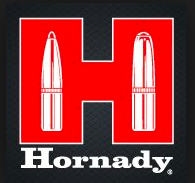 All contestants are required to shoot full power ammunition in this competition. Pistol minor caliber is designated as those which are less than .40 caliber in diameter and must meet or exceed a 135 power factor. 9mm Parabellum is the minimum allowable pistol caliber. 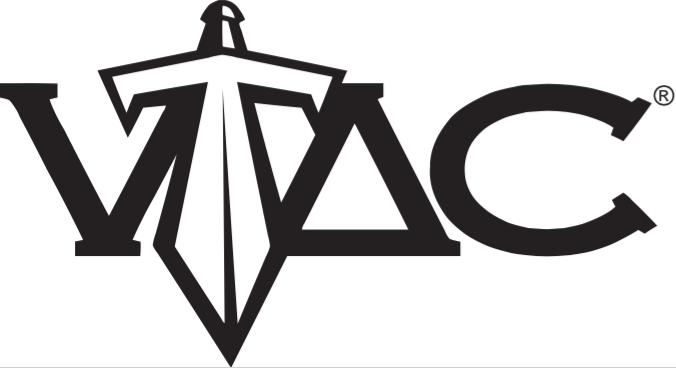 Pistol major caliber is designated as those which are .40 caliber or larger and must meet or exceed a 180 power factor. Power factor is calculated by multiplying bullet weight in grains by velocity in fps and dividing by 1000. For example, a 230 grain bullet at 820 fps yields a power factor of 188.6. 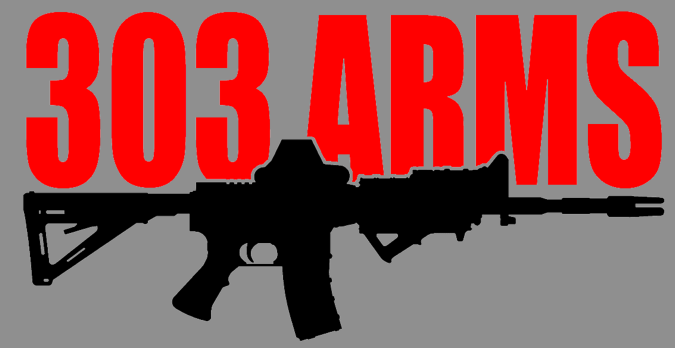 Rifle major calibers are .308, 7.62x51 NATO, .30-06. Others may be considered by MD discretion.. Shotguns will be 12 gauge. The only permitted ammunition is #4 Buckshot (or larger) and slugs. A competitor's ammo may be checked at any time. 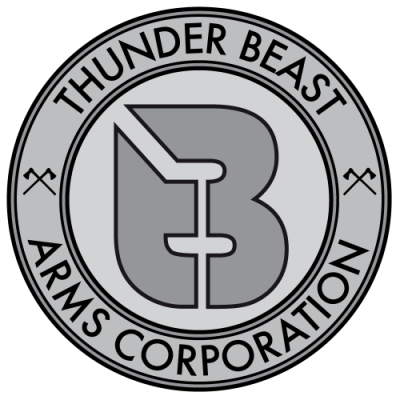 No tracer or armor piercing ammo allowed (no M855/SS109 or any other ammo with a steel or tungsten core or penetrator). No steel-jacketed ammo is allowed. Projectiles must be totally non-magnetic. If a stage specifies head shots, they will count as A-zone hits and hits on the body are considered misses when head shots are specified. A shot on a paper target whose outside diameter touches any part of the scoring ring will count for the higher value zone.Tears in the paper extending outside the actual bullet diameter do not count for the higher score. If a shooter fires at the signal to cease fire or after the allowed firing time has elapsed he will lose the maximum value of each shot fired overtime and any resulting hits will not count. Weapons used in competition will be serviceable and safe. All factory safeties must be intact and operable. No optical sight is allowed in pistol or shotgun. Any RESURGENCE legal rifle may be equipped with optics designated as RESURGENCE battle worthy but will be scored separately from iron sighted rifles. Optics designated as RESURGENCE battle worthy: Steyr AUG optic, Colt 3X or 4X optic or copy, Elcan optic, Trijicon ACOG 3.5X or 4X optic, Trijicon Reflex fight and U.S. Optics SN-4 & SN-5 scopes. A weapon can be replaced for use in later stages or strings of fire with a substantially identical weapon if it becomes unserviceable during a stage or string of fire and the MD approves the substitution. The maximum barrel length for revolvers is 6 inches and for auto pistols 5 inches  5.31"
Auto pistols can be no heavier than 42 oz (unloaded, no magazine). and revolvers may weigh no more than 45 oz. Pistol may not begin stages of fire with an extended magazine in place except where the extension is no larger than a reasonable duty magazine base pad. This will allow most double column pistols to begin with a +2 base pad but no more. Major caliber rifles may weigh no more than 11 pounds without optics or 12.5 pounds with optics. Rifles will be weighed empty, without magazine, but otherwise complete with sling and another attached accessories. Any device on the weapon to carry extra ammo must comply with rule 5.7 and must be secure enough to hold the ammo during rigorous movement. Many pistol stages will require the contestant to draw from the holster. Each stage will begin with the pistol holstered unless otherwise specified. Holsters must be practical, safe and suit the pistol. The same holster need not be used in all the stages. a competitors sidearm will be worn for all courses of fire. A duty rig in which the holster and mag carriers are used in the competitor's police department. This option may only be used by law enforcement entrants and must be department issued or specified rig for uniform duty use. If duty holster is considered questionable by match staff, the competitor much provide a copy of department policy regarding duty equipment or department authorization of equipment in question. A field holster of such design would be suitable for military or field use. A concealable holster that can be concealed by an open front sport coat to light weight open front zip jacket. When the conceal holster option is used, the pistol and all gear must be worn in such a position that the pistol and gear would be concealed, by the above jackets if the jacket were being worn. Holsters in this competition may not be cut down in front of the ejection port. Any security device on the holster must be in place at the start of each string of fire or stage, i.e.. flaps down and snapped, thumb breaks snapped and in place. Magazines may not be used from pockets unless specifically designated for such use, such as tactical vests etc. Bags and boxes are not allowed on the line or ready area. Magazine pouches for the pistol may leave no more than 2 inches protruding from the magazine carrier while those for the rifle may leave no more than 2 inches of a 20 round magazine protruding or 3 inches of a 30 round or greater magazine protruding from the carrier. This 2 inch or 3 inch limit includes all portions of the magazine including the base pads. Both rifle and pistol carriers must protect the magazine feed lips. Devices to hold a spare magazine to the rifle or to the magazine in use must protect the magazine feed lips and must keep dirt out of the spare magazine or a separate protector must be used in addition. No neon colored mag base pads, mag carriers, holsters or brightly colored magazines are allowed, We find them offensive in this format. NORMAL READY for pistol designates a position in which the pistol is holstered and safe and neither hand touches the pistol, holster, belt, spare magazines or other equipment. The firing hand must be in a start position specified for the firing string. If no position is specified for the stage, shooter’s hands must be clear of all his equipment and hanging naturally at sides. Rifle and Shotgun ready will be specified in each stage. Weapons will be strictly unloaded except upon direction of a match official. Rifles and shotguns are carried action open (no exceptions) mags out and slung (or muzzle up if the shotgun is not equipped with a sling). On courses requiring the contestant to move, weapons must be on safe during movement. Hammer down for revolvers and D.A autos (unless D.A. is equipped with a manual override safety). Fingers must be outside the trigger guard. The weapon must be holstered and pointed down range at all times. Double action revolvers and D.A. autos (except as in 7.5.1) hammer fully down. Single action pistols and all rifles and shotguns, hammer down or cocked with manual safety engaged. Weapons will be pointed in a safe direction, keep them pointed downrange pointed at the target area. Match officials may define acts or omissions other than those listed above a safety violations. A contestant committing any unsafe act or omission is subject to disqualification. A stage director has the final authority for disqualifications for safety violations committed on his stage. All participants are expected to conduct themselves in a sportsman like manner.Unsportsmanlike conduct is grounds for disqualification from the competition. Any problem not satisfied by the stage director at the time the competitor fires a stage is to be brought to the attention of the match director within one hour of the incident. Any problem brought to the attention of the match director may be investigated upon the the receipt of a $100 cash incident investigation deposit. The Match Director's decision will be final in all such decisions. Only if the issue is resolved in the competitor's favor and the stage director's decision is overturned, the $100 deposit will be returned. Challenges of posted scores will incur a $20 score challenge deposit, refunded if the competitor's challenge results in a correction to posted scores. Competitors who miss their appointed squad time may be allowed to fire the stage at the discretion of the stage director and only if the time permits. Rules are subject to change up until the match date. No ammunition may exceed 3200 fps muzzle velocity. Also, no steel core or steel jacket bullets. Rifle muzzle brakes / compensators will be permitted as long as they are not longer than 3" or have a diameter larger than 1". All scoring will be heads-up. Rifle stages will be converted to stage points based on the corresponding OPTICS or IRONS stage leader. Then everyone will be ranked by overall match points. In addition to “Classic/SOF Irons” and “Classic/SOF Optics”, we will also run an OPEN division where any modern-open-class firearms may be used. Major/minor scoring will still apply. This class will be scored separarely from the classic SOF classes.